Yesterday Lenovo and AMD officially announced the previously rumored AMD-powered ThinkPads. AMD has had a great year so far with the release of Ryzen and it seems that the company is trying to get back into the mobile market as well. The company is starting from the business class which might be the right way. AMD is also rolling out AMD Dash which is a feature comparable to Intel vPro. 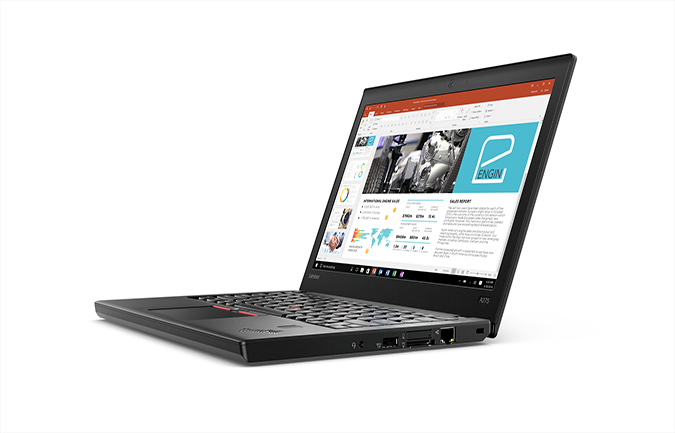 The two new models are the ThinkPad A275 and A475 which are based on the currently existing ThinkPad X270 and T470 respectively. They are almost the same except for the CPU of course. The A475 lacks the Thunderbolt support on the USB Type-C port which is found on the T470 and the A275 drops the mechanical bottom-docking-port. It seems that these ThinkPads will be two of the more affordable models on the market. Let’s finally talk about the AMD part in the whole scene. The A275 and A475 will be powered by Bristol-Ridge APUs which is a bit disappointing. This is the older generation of APUs. The newest one is Raven-Ridge and it is based on Ryzen which is what we want to see. However, the Raven-Ridge is not perfected at the moment and we will probably see it debut in early 2018.